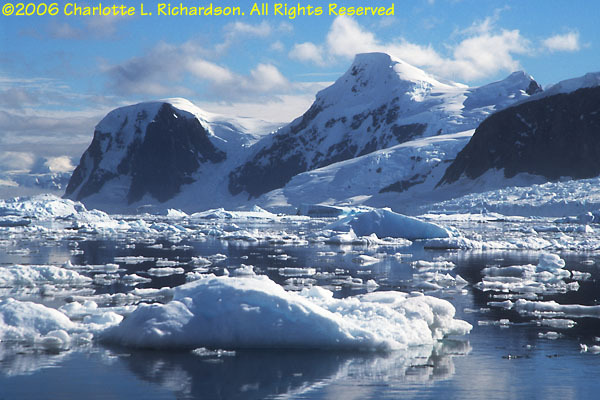 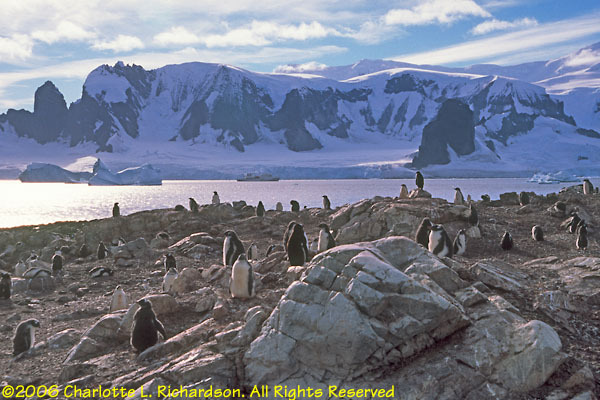 The Antarctic Peninsula has a rugged coastline of bays and channels with a spectacular background of snow-capped mountains. 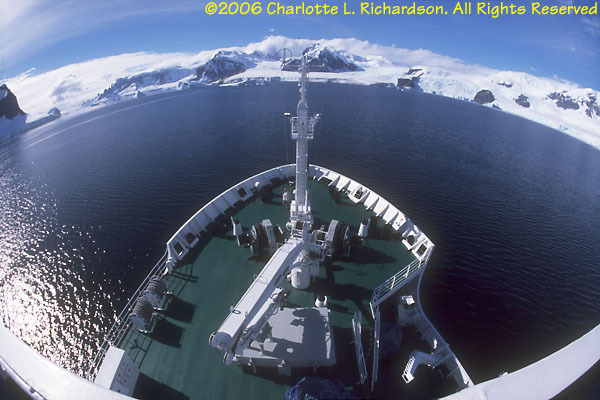 This circular volcanic island lies off the northern tip of the Antarctic peninsula. 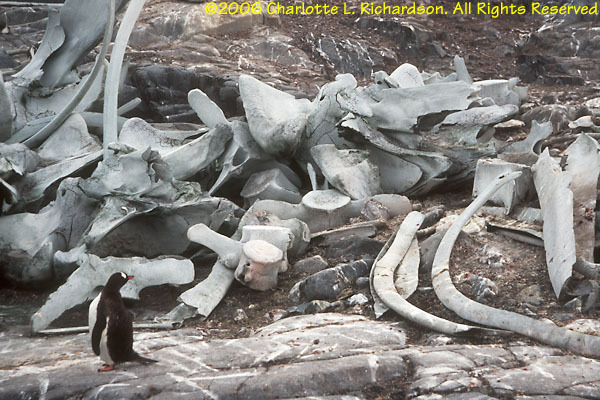 There is a huge Adélie penguin colony here, but almost all of the birds had already fledged and left this late in the season. 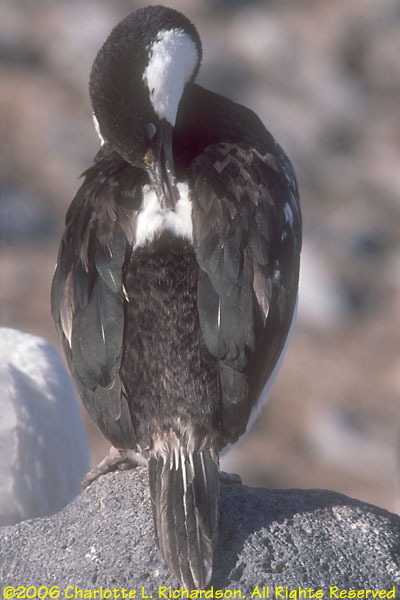 There is also a big cormorant colony. 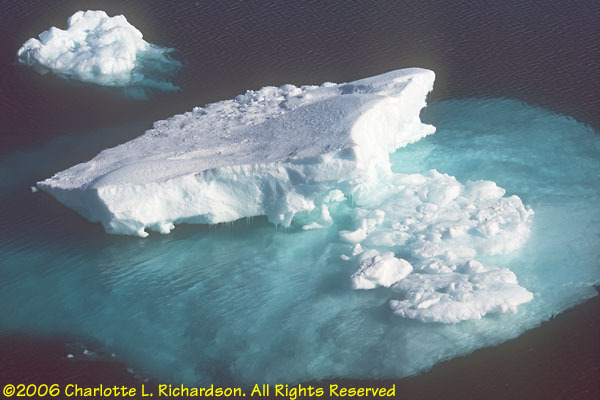 The island is surrounded by icebergs that calve off the Larsen Ice Shelf. 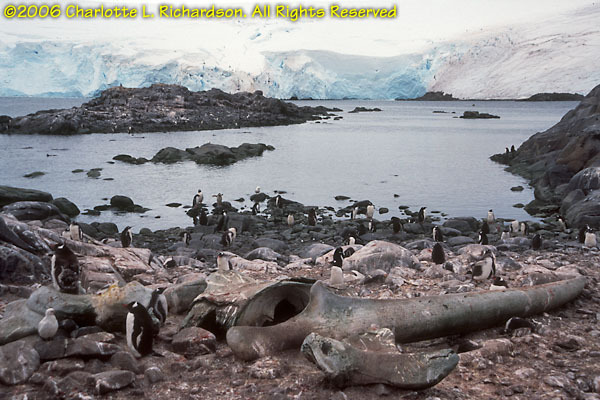 There is a stone hut on shore where the Larsen expedition overwintered in 1903 after their ship, the "Antarctic" sank, giving its name to the surrounding waters. 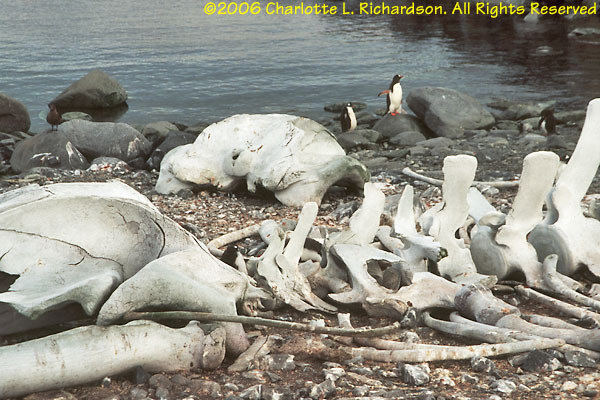 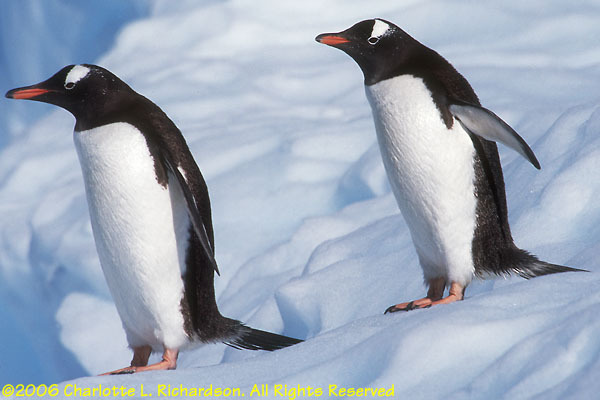 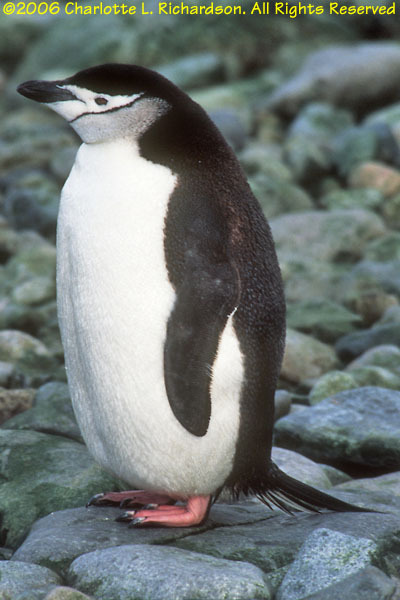 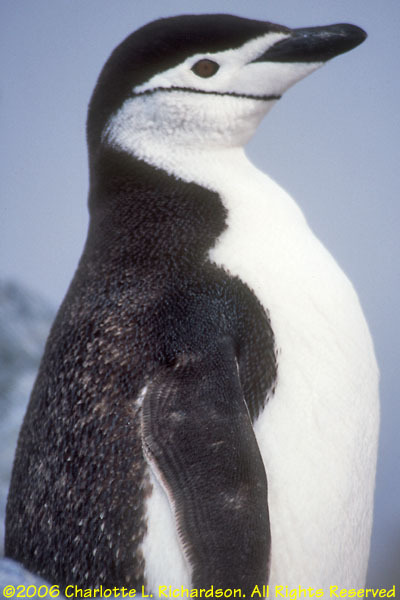 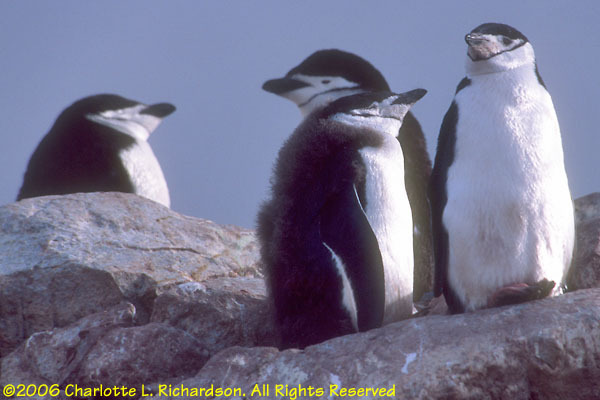 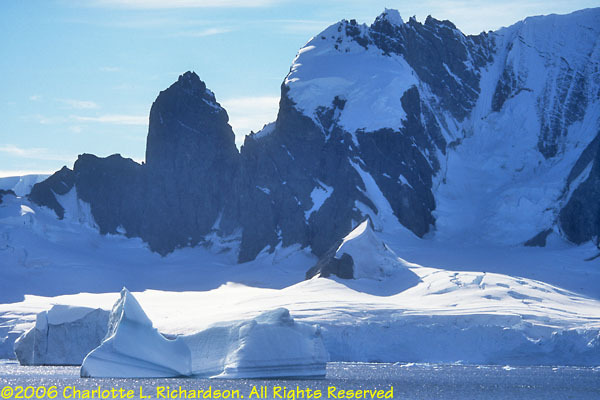 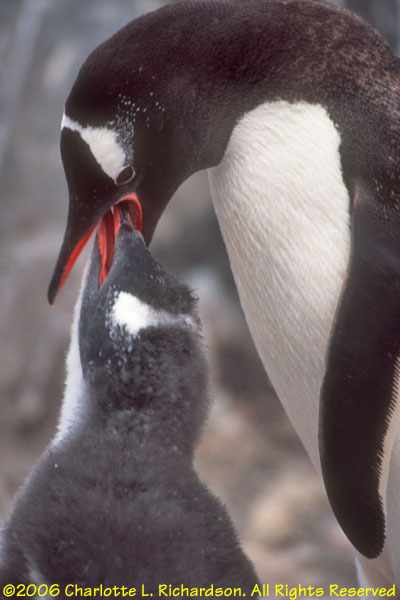 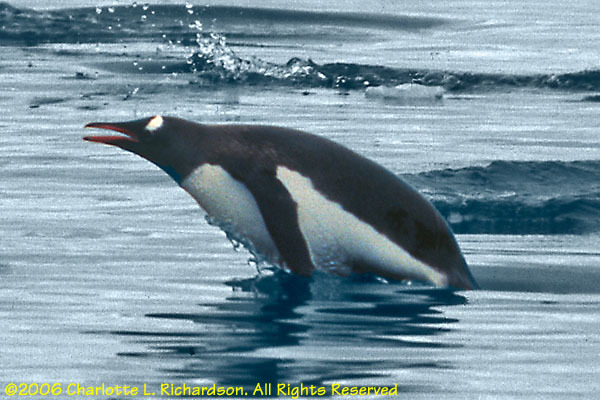 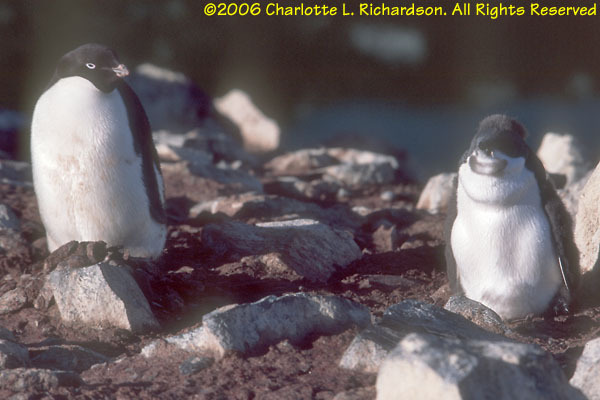 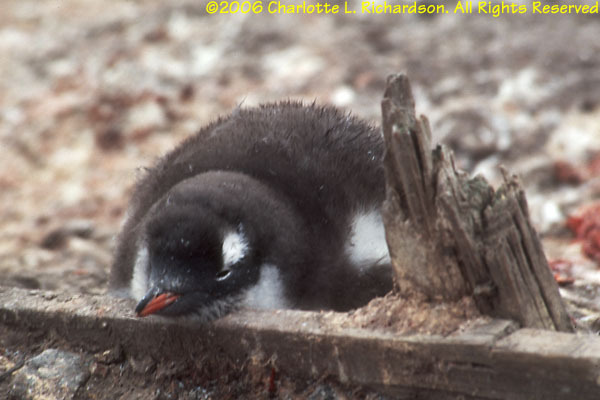 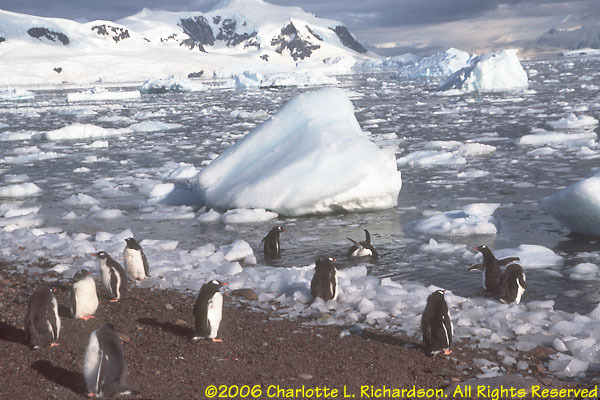 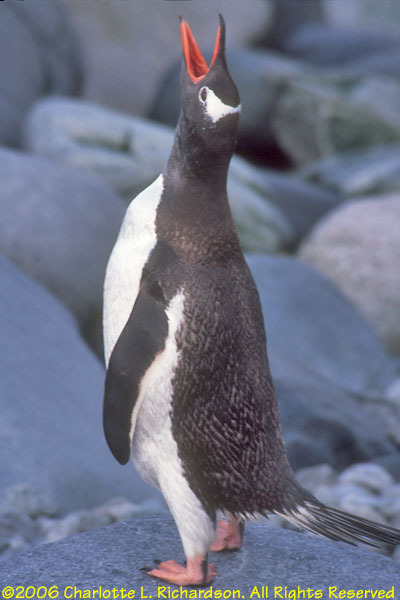 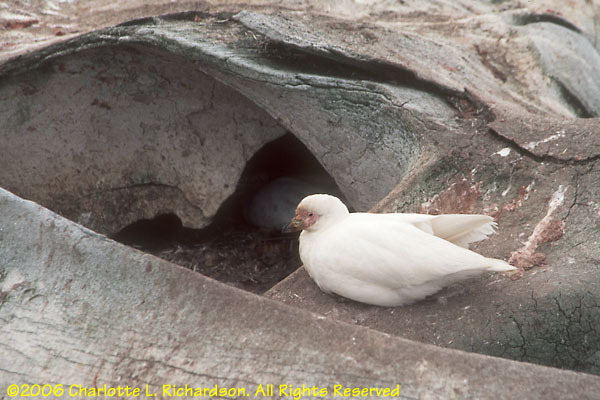 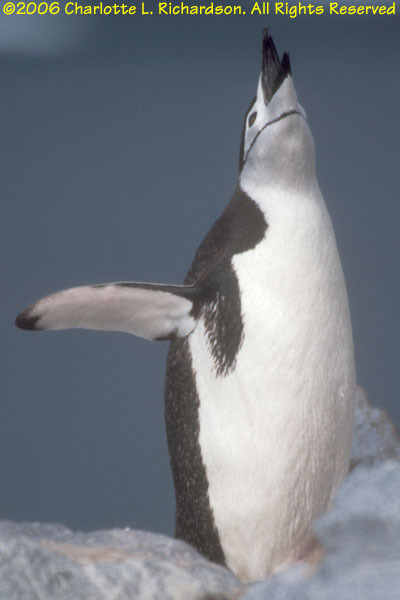 Rongé Island has several large colonies of chinstrap and gentoo penguins. 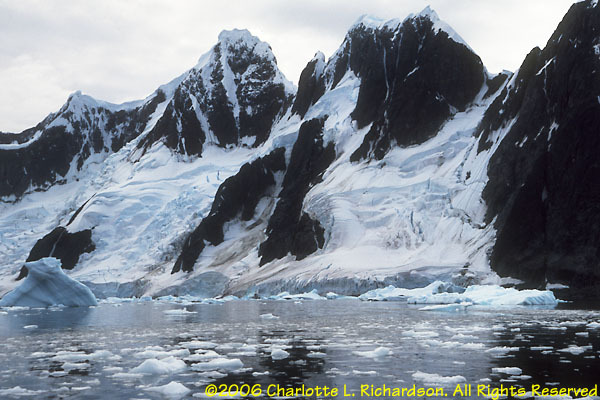 Two chinstrap colonies are at the top of steep cliffs. 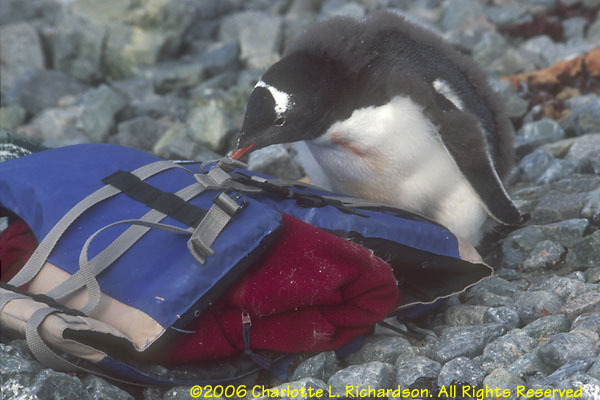 Chinstraps are surprisingly good climbers. 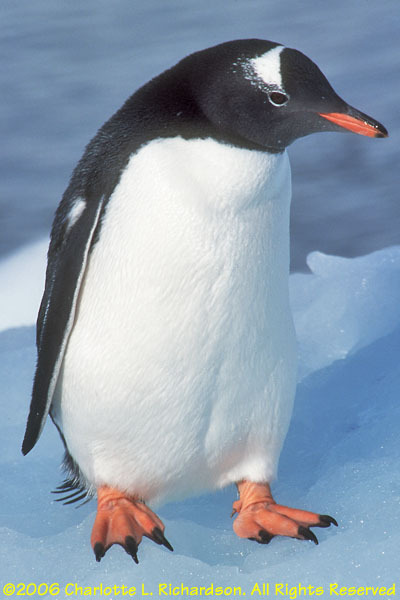 The gentoo colony is down below. 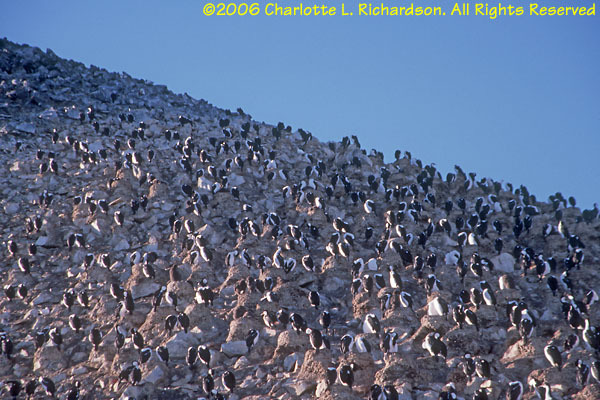 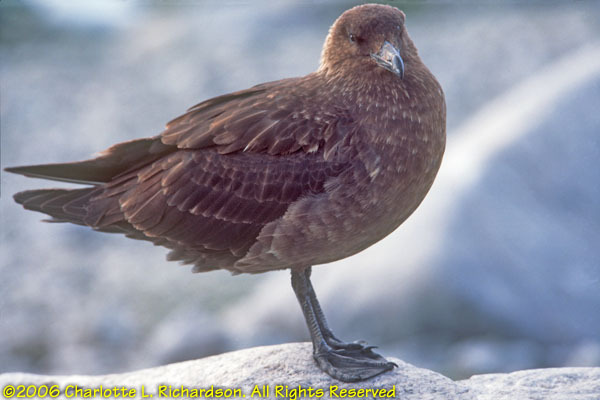 South polar skuas lurk around the edges of the penguin colonies. 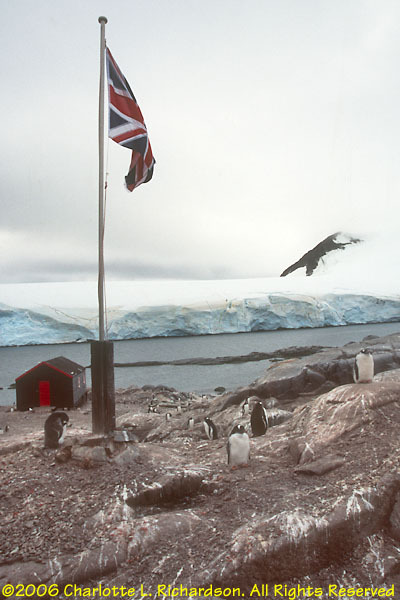 This is the old World War II British "Base A", maintained as a historical site, on Goudier Island in the Neumeyer Channel. 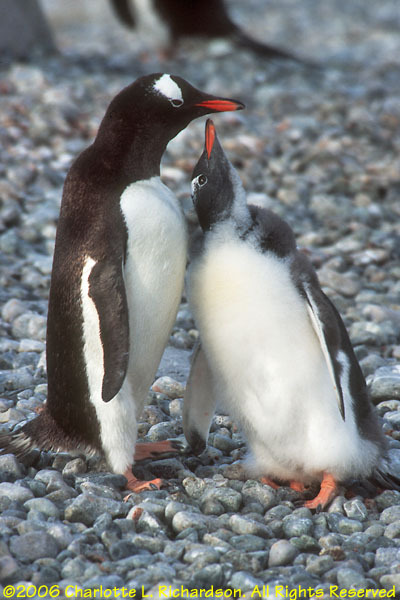 The gentoo colony established itself after the base was originally closed down. 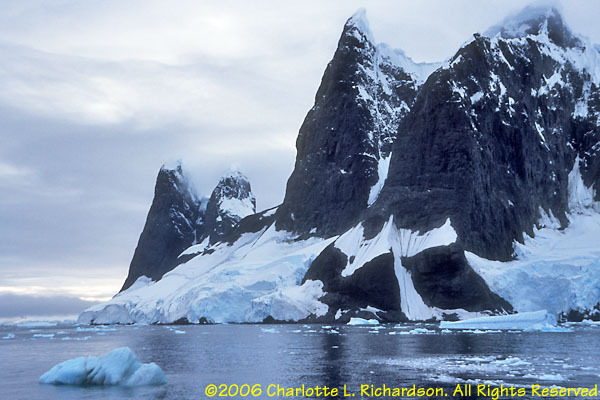 This narrow fjord separates Booth Island from the peninsula to the east. 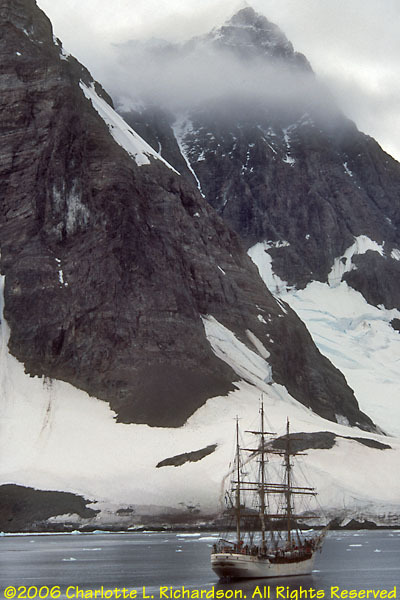 Pleneau Island lies at the end of the Lemaire channel. 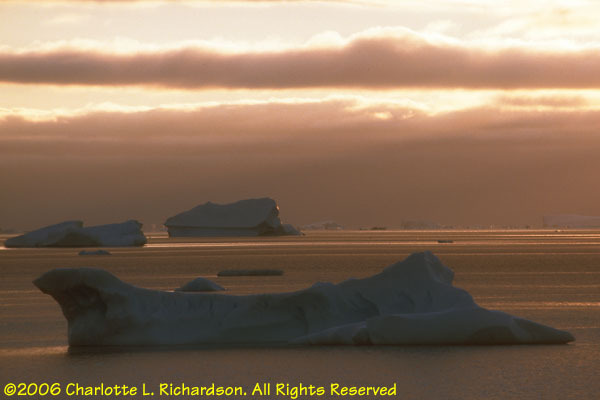 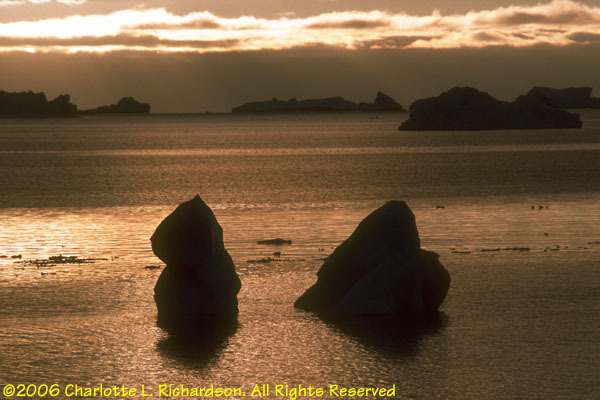 Many icebergs ground in the shallow waters between this island and Booth Island. 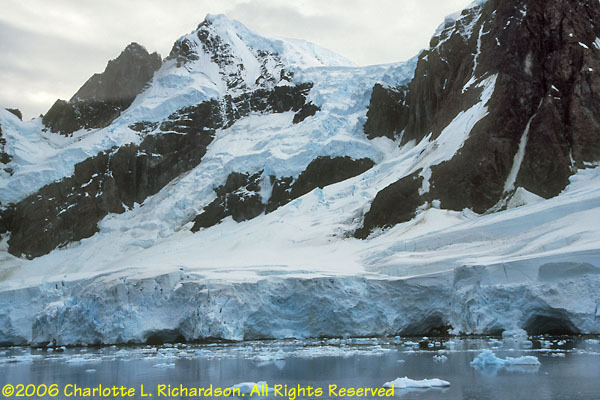 This protected and beautiful bay was the site of a wedding aboard the Vavilov, but the weather was rainy and foggy. 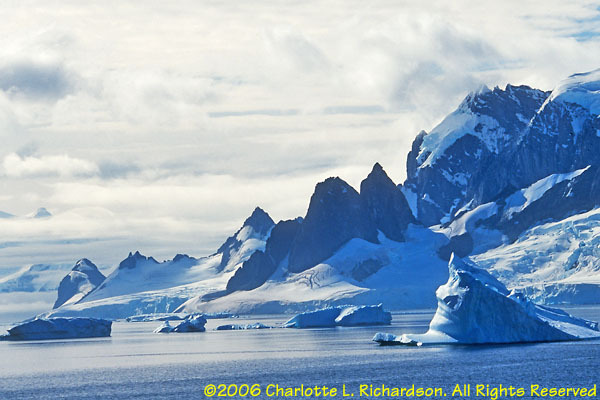 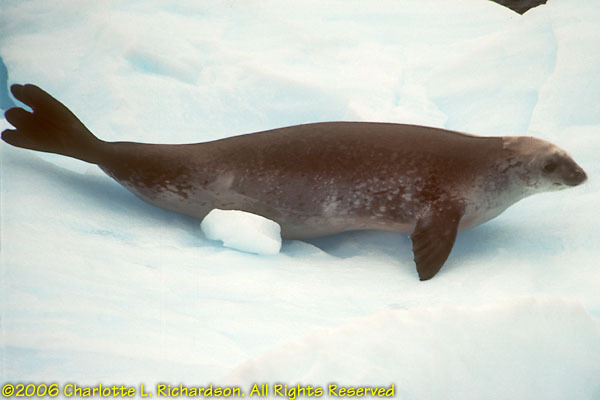 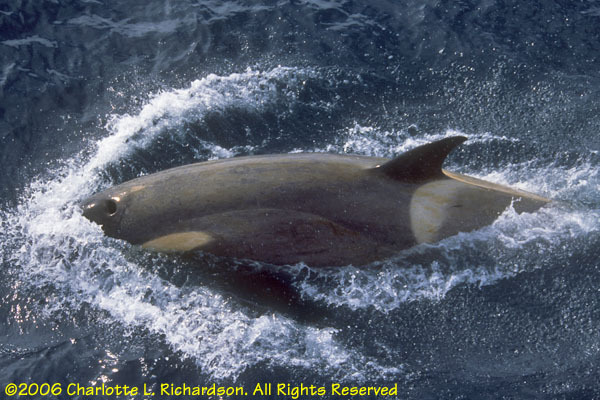 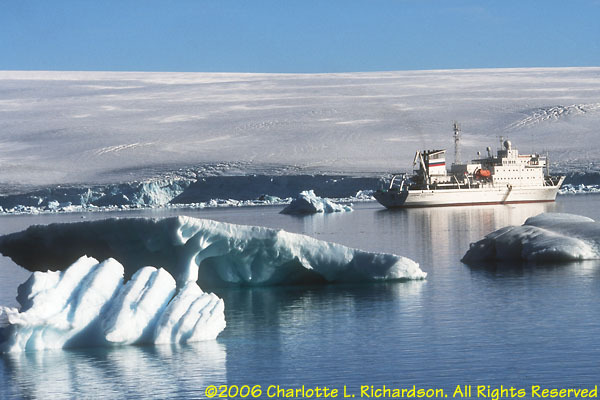 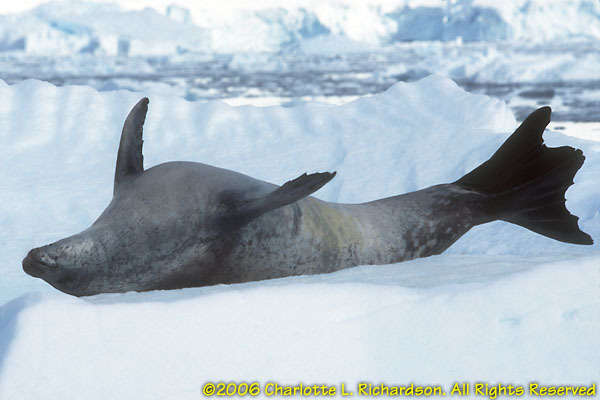 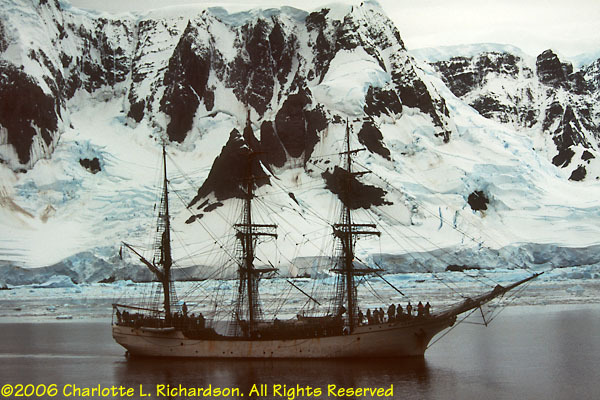 Neko Harbor is on the Antarctic continent itself, rather than an offshore island. 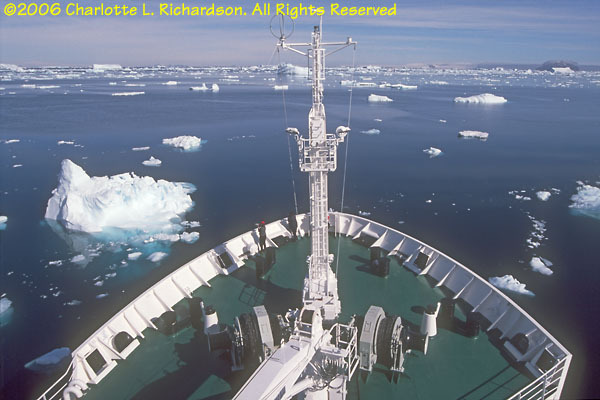 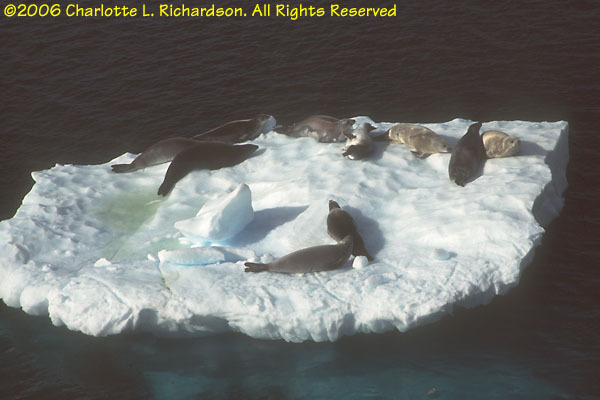 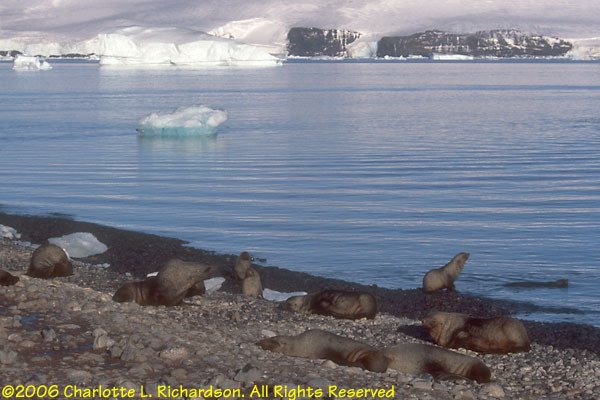 The glacier across from the landing site is very active and frequently calves into the harbor. 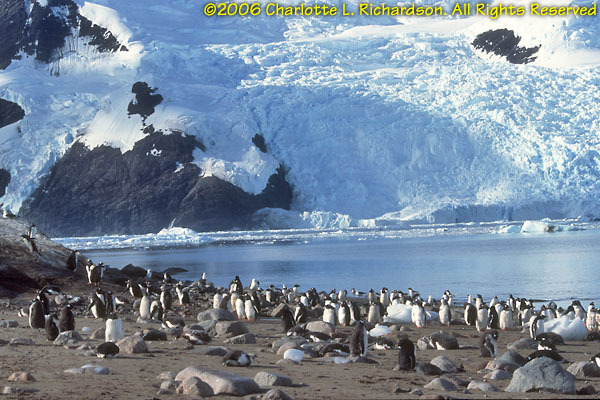 There is a small orange Argentinian refugio (refuge shelter hut) onshore.